Drizzle beets with olive oil, season with salt and pepper and wrap completely in aluminum foil. Roast for up to 1½ hours – until fork tender. Remove from the oven and let cool. Conversely, a golfer whose hooks should check that the left hand is not in a “strong” position where it is turned too much to the right. Prepare: Sit or lie down where you’re comfortable. You can sit cross-legged with a straight spine (try sitting on a pillow or a folded blanket to straighten your spine) or lie down in a place with few distractions. Set a timer: ten minutes is a good starting point. 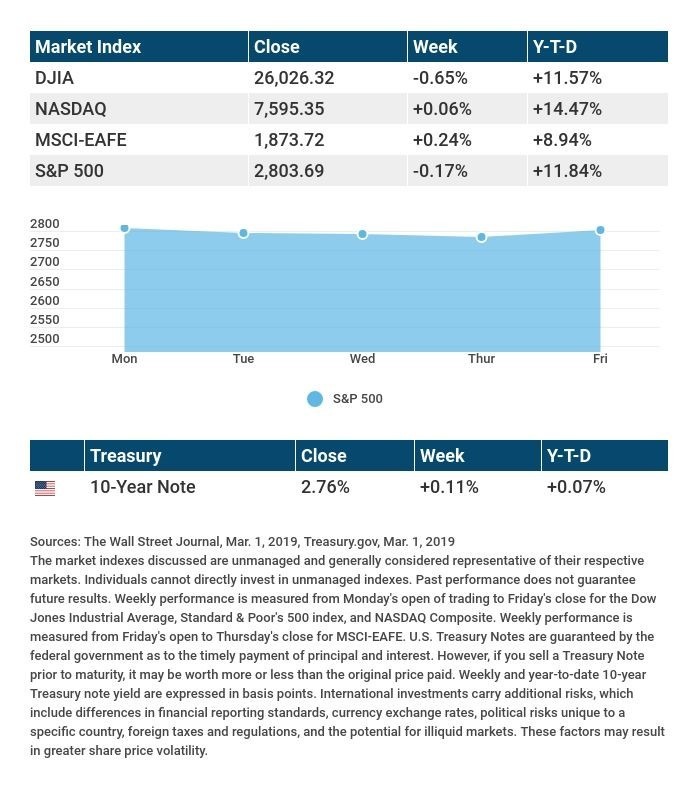 Please feel free to share this market update with family, friends, or colleagues. Diversification does not guarantee profit nor is it guaranteed to protect assets. International investing involves special risks such as currency fluctuation and political instability and may not be suitable for all investors. The Standard & Poor’s 500 (S&P 500) is an unmanaged group of securities considered to be representative of the stock market in general. The Dow Jones Industrial Average is a price-weighted average of 30 significant stocks traded on the New York Stock Exchange and the NASDAQ. The DJIA was invented by Charles Dow back in 1896. The Nasdaq Composite is an index of the common stocks and similar securities listed on the NASDAQ stock market and is considered a broad indicator of the performance of stocks of technology companies and growth companies. The MSCI EAFE Index was created by Morgan Stanley Capital International (MSCI) that serves as a benchmark of the performance in major international equity markets as represented by 21 major MSCI indices from Europe, Australia, and Southeast Asia. The 10-year Treasury Note represents debt owed by the United States Treasury to the public. Since the U.S. Government is seen as a risk-free borrower, investors use the 10-year Treasury Note as a benchmark for the long-term bond market. Past performance does not guarantee future results. You cannot invest directly in an index. Consult your financial professional before making any investment decision. Fixed income investments are subject to various risks including changes in interest rates, credit quality, inflation risk, market valuations, prepayments, corporate events, tax ramifications and other factors. 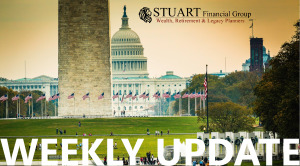 These are the views of Platinum Advisor Strategies, LLC, and not necessarily those of the Stuart Financial Group, or Global Financial Private Capital, LLC., and should not be construed as investment advice. Neither Stuart Financial Group nor Global Financial Private Capital, LLC., gives tax or legal advice. All information is believed to be from reliable sources; however, we make no representation as to its completeness or accuracy. Please consult your financial advisor for further information.